Human desire to be hairless has stretched back to prehistoric times and has encouraged the most painful methods of hair removal. One might think that being hair-free is a fairly modern ideal, a social constraint that we have bought in to for the sake of fashion, sexual desire and even female oppression, but it in fact began around 3000 BC thanks to the Greeks and their obsession with having hairless smooth skin. From shaving the face with sharp flint to using tweezers to pull hair from the scalp, we have been removing unwanted hair for centuries. Fundamentally, all throughout the ages hair removal has remained one of the founding pillars of both male and female beauty regimes. The Greeks: The Greeks were fixated on achieving a smooth marble appearance and would happily turn to painful methods to remove unwanted hair. So to remove their hair Grecian men used sharp rocks to shave off any facial and body hair that poked out above skin level. Or, another popular method was using two shells pressed together to pull the hair out from the root. Some Greeks would even use depilatory creams containing dangerous ingredients to dissolve the hair leaving the skin raw, irritable, vulnerable to infections and on occasion hairless. Hair represented enslavement and poverty, thus hairlessness was hugely important for those of stature and wealth. Ancient Egyptians: The Ancient Egyptians were renowned for their luxurious taste and extraordinary rituals. In fact, they were perhaps the most dedicated in spending hours of their time removing body and facial hair for religious or ritualistic reasons. 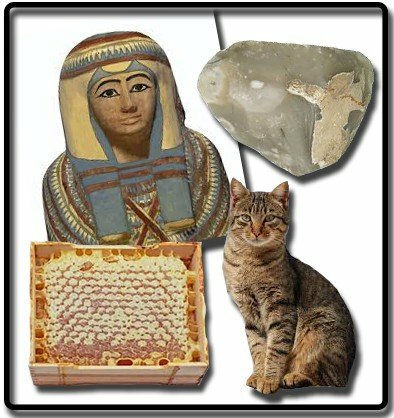 Women of ancient Egypt went through the painful process of removing all their body and head hair by tweezing or using a sticky wax to remove hair from the root. The wax was a completely natural and effective method which consisted of sugar or bees wax as core ingredients. Elizabethan era: Queen Elizabeth was a powerful figure during her reign in the 1500s, and her unique style of having a high brow set quite a trend amongst Elizabethan women. Big foreheads became the fashion and women were soon plucking their eyebrows. However, some women adopted a rather bizarre technique of soaking bandages in a mixture of cat’s faeces, walnut oil and vinegar to suppress hair growth on their forehead. Some might think this a crazy method, but mothers would swear by the strange concoction and would use it on their children’s forehead to prevent hair growth. 1800’s- mid 1900’s: The time of the Industrial age saw the rise of razors which enabled men to shave at home and at their own convenience. It was also a cheaper option than visiting the local barber for a shave. It was from this point onwards that lady shavers were introduced and became a crucial part of the women’s beauty regime. Razor companies started to push the marketing theme of hair being unhygienic which proved a natural boost for women to have clean shaven armpits and legs. Today: Hair removal is still prevalent in today’s society with fashion, beauty and hygiene being core motivators for hair free skin. In fact, the historical methods of waxing, shaving and plucking are still used today, but the development of technology meant we can now remove hair permanently, easily and quickly with Intense Pulsed Light (IPL) in the comfort of our own home. Since the introduction of light therapy decades ago, IPL has revolutionised the way we remove our hair. One device which offers such luxuries is the SmoothSkin Gold home hair removal device for the body and face. SmoothSkin Gold is designed to help break the cycle of hair growth. 1. The light energy is transferred through the skin’s surface and is absorbed by the melanin present in the hair shaft. 2. The absorbed light energy is converted to heat energy (below the surface of the skin), which disables the hair follicle preventing further growth. 3. Treated hairs naturally fall out over the course of a few days to 1-2 weeks. Hair grooming is a big part of our beauty regime. Whether removing unwanted hair daily or weekly Grooming can be quite tiresome, but SmoothSkin Gold has a recommended 12 week treatment regime followed by monthly maintenance treatments as and when required. They have proven to be the best regimes for permanent hair reduction. SmoothSkin Gold is the new unique device created by ipulse which merges beauty and intelligence into one simple machine. The features not only provide effective permanent hair removal, but give the user an enjoyable relaxing experience at home. It is simple, safe and requires no gels or creams making your beauty regime an effortless and painless experience. Ultimately, SmoothSkin Gold is a drastic improvement in the way we remove hair and upholds its place at the forefront of innovation and effectiveness.